Hello friends and welcome back to my little world... Its time for another Shining The Light Challenge at Our Daily Bread Designs. This week we are to use these summer colors yellow, blue & green along with any neutrals. We are to make it monochromatic choosing only 1, 2 or all 3 of these colors. A $ 15 gift certificate to be used toward stamps at the Our Daily Bread Designs store will be given away to one lucky person who plays along!! Entries for the prize must be submitted by Thursday, June 17. One random winner will be chosen and announced next Saturday. While it is not required to use Our Daily Bread Designs images and sentiments on your creations, we would love to see them if you have them. If you upload your creations to SCS or any online gallery, please use the keyword is ODBDSLC17. 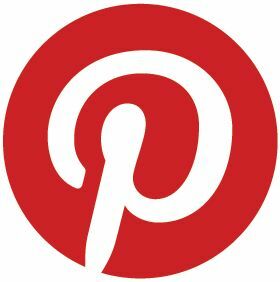 When creating your posts on blogs please include a link to the ODBD challenge. Here is my card with Monochromatic BLUES and a small touch of yellow and green. This is also for this week's SCS Inspirational Challenge #IC236 found here. And Im following this week's Midnight Madness Sketch #MMSC57 found here. Thanks for Stopping by today. Happy Creating! Love it! The charms are fabulous too! WOW! That blue color is absolutely stunning!! You did a fabulous job on the coloring, it looks amazing. Love everything about this card. OH how stunning this is in all blues America! And those fantastic charms girl! Beautiful creation! So beautiful card America,i love your image and the colours. America, your creation is a true delight!! My gosh, the blue color is so catching and your image and wonderful nautical charms are so fantastic. LOVE you use of ALL THOSE dimensional layers!! You always create the most spectacular cards. Thanks so much for joining in on the Midnight Madness Sketch Challenge this week and I really, really hope you can play with us next week! This is stunning, love the rich blues and love those adorable charms. America, I just love your card! The colors, image and charms which you have put together spectacularly, and lighthouses are one of my favorite things to see! The color of the blue dp is just perfect for your image. Gorgeous work. Thanks so much for playing along with us again this week. America, this is soooo beautiful! Love all the layers and the charms! I LOVE this! 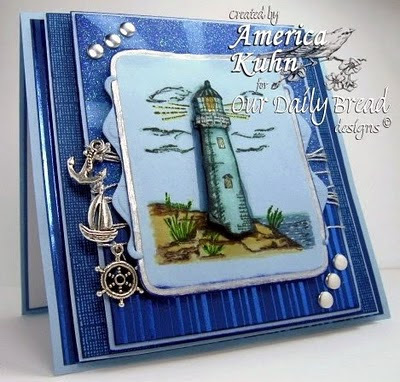 I love the color, the layers, the sparkle,the textures, the maritime and the lighthouse! This is my favorite this week! No doubt about it! LOVE IT! Thanks for sharing this! Thanks for joining Midnight Madness challenge, we hope to see you again next week! Love your colors, such a beautiful card. GORGEOUS! !What a wonderful entry and Great take on the sketch too. Thank you so much for playing the Midnight Madness sketch challenges. America I can almost smell the sea air while gazing upon this tantalizing creation. I feel the warm sun on my face and the ocean breeze in my hair. (Oh, maybe it is the Peppermint Patty I just popped in my mouth) lol Nah, that is just my corny sense of humor. This is sensational and a stellar addition to the gallery at MMSC. Great job with the sketch this week. Thank you for playing along with us ad the Midnight Madness Sketch Challenge. GORGEOUS card! Love that background and your choice of charms! So lovely and serene...love the charms! What a beautiful card, I love light houses. Thank you for letting me visit, it's been a pleasure. Have Sparkle kind of Day! This is just stunning. I love the monochromatic look and the elegance of this.